Watched a car fishtail and slam into the back of the truck I was a passenger of in 1992. I tensed up when I saw it coming. At the time Drs did not know why I was in pain. 3 yrs ago a Dr took an x-ray while I sat in a chair which is when the bulging disc was found. I wonder if it is the cause of pain and tingling in my arms/hands. I suffer from Fibromyalgia and CFS. Learning there may be a link between spinal injuries and these disorders. When I lay down for sleep I have to throw my right leg over my left leg and pop my hip/back or I do not lay flat. It feels like my hips are detaching from my back some times. I had scoliosis as a child but not severely. Chiropractors have told me my spine curves opposite of how it should. My neck curves like my lower back should and my lower back curves like my neck should. There\'s curve left to right as well. Most of my back pain is in lower lumbar. Bending over I pop and crack a lot. I wear a back wrap/brace for support sometimes as it seems to hold it all tightly, seems to help sometimes. You have been suffering with chronic pain since 1992. Bulge disc causes radicular pain, which often reduces in intensity 6 to 9 month after injury. Radicular pain is mostly felt along the course of the leg. Lower back radicular pain will spread to lower leg. Fibromyalgia is a widespread muscle pain. Fibromyalgia pain is observed in lower back and leg muscles as you had described. Scoliosis does not cause fibromyalgia, neither fibromyalgia causes disc bulge. Automobile accident may have caused disc bulge and facet joint injury. Both injuries causes pain over lower back and leg. You may have seen several physicians. 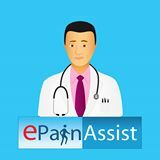 You need multidisciplinary approach of pain management. Your treatment should include physical therapy, medication and interventional therapy.